The divorce process is inherently stressful for the entire family. Stress can come in many forms from worry about your children, your finances and your property. The stress of the situation can have the additional consequence of making it that much harder to make the sound decisions that will be essential to your future security. The advice of an experienced divorce attorney can help reduce the stress of divorce while giving you an accurate idea of your legal rights and responsibilities. Once you know the rules by which the key issues in your divorce will be determined, you'll be in a good position to define realistic goals for yourself and your children. Then it's your lawyer's job to find an efficient path toward achieving your objectives through negotiation or litigation as your interests indicate. 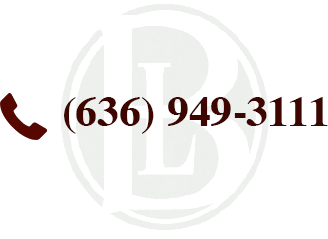 Contact The Bellon Law Group in St. Charles to learn how our experience with Missouri divorce law can benefit you. We work with people in such communities as St. Charles County, St. Louis, Lincoln and Warren counties. Our personalized approach to the issues that you'll need to address in your divorce can make a significant difference both in resolving your immediate problems and in protecting your long-range interests. You should get legal advice at the earliest possible stage of a divorce, if only to confirm the advisability of proceeding on an uncontested basis under the circumstances of your case. Our job as divorce attorneys is not to find disputes where they don't exist. Instead, we help you understand how Missouri law affects your position — we will help you to make your decisions about what to ask for and what to agree to once you know what the law entitles you to and expects from you. For additional information about our experience and our approach to client service, contact a St. Charles divorce attorney at The Bellon Law Group for a consultation.